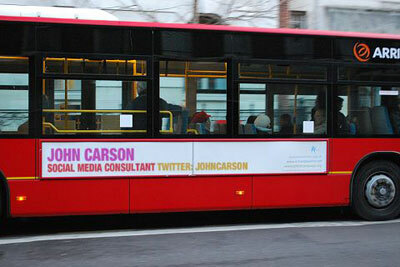 John Carson -- Social media, journalist, editor, writer, author, website producer, co-founder. "Hey, thanks for visiting my site. I am a social media guru, and can show you how to make thousands of dollars just by setting up a Facebook page or Twitter account. Within a week you will have 495,637 followers all begging to hear your sales pitch! And I'll only charge you $500 an hour for the privilege. So what are you waiting for? Sign up now!" PLEASE DON'T. Those very words should make you leave my site immediately. I am a social media advocate. Not an expert or guru — there are no experts or gurus in this new(ish) space, as it is constantly changing and people like myself are learning new strategies every day. But I am very comfortable talking about it and can help you (or your clients) engage customers by listening to them online, finding out what they are talking about and engaging them in conversation. You may be surprised at how your brand is being portrayed in blogs, social networks and other places. Since 1995, I’ve worked in the U.K. and Canada as a journalist, editor, copywriter, website producer, content manager and am a published author. I've held numerous positions, and was also the Co-Founder and Communications Director of Greenscroll, a green non-profit. I'm currently the Founder of Herb Communications, a digital communications consulting business. Other roles include: Communications Manager for Greenwood College School, Acting Communications Manager for Upper Canada College; Editor of Product & Image Security and Silicon Valley NORTH; Managing Editor of Beer.com; Senior Online Content Manager for Rogers Media Publishing; Manager, Digital Communications for the Workplace Safety and Insurance Board. I have worked with clients such as Upper Canada College, Ontario Ministry of the Environment, Ontario Centres of Excellence, The Country Day School, Candice Batista, Branksome Hall, Ariad Custom Communications, Meritus University, Silver Recruitment, Dell, Mars Canada, Mattel, Shell, Playtex, Air Miles, Firkin Pubs, Heritage Toronto, iStopOver, Farelogix and others. I love words, communicating and connecting with people. 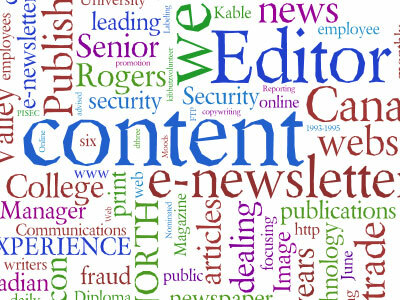 Press releases, web content, articles, help with setting up a blog or social network profile, podcasting, videoblogging, affiliate marketing, Google AdWords ... all these services and more are what I do. I can advise you on a strategy for using tools like Twitter. It's important for me to keep on top of the latest Web 2.0 developments, and I do that by networking with influencers in the industry. If you need someone to monitor your company's reputation or brand online, then I will set up a regular schedule to do that for you. If there’s things I can’t do — producing videos and graphic design, being two — I have a lot of trusted contacts and know people who can. So, really, I’m pretty confident that you’ll be happy with the end result. I will manage the whole process for you; just hand the project to me and I'll give you a quote. That's my pitch. If you've read this far then I've done my job, so please give me a shout if you would like to chat about how I can increase your media exposure, via words, video or other methods.